This past weekend I roasted a whole chicken for the sole purpose to make chicken salad! I was on a mission to change up our normal lunch routine with something new and exciting. This was the perfect choice! We have enjoyed this so much I am definitely going to do this at least once a month. Plus, I reserved the chicken bones to use for homemade chicken stock – stay tuned for that post coming soon. 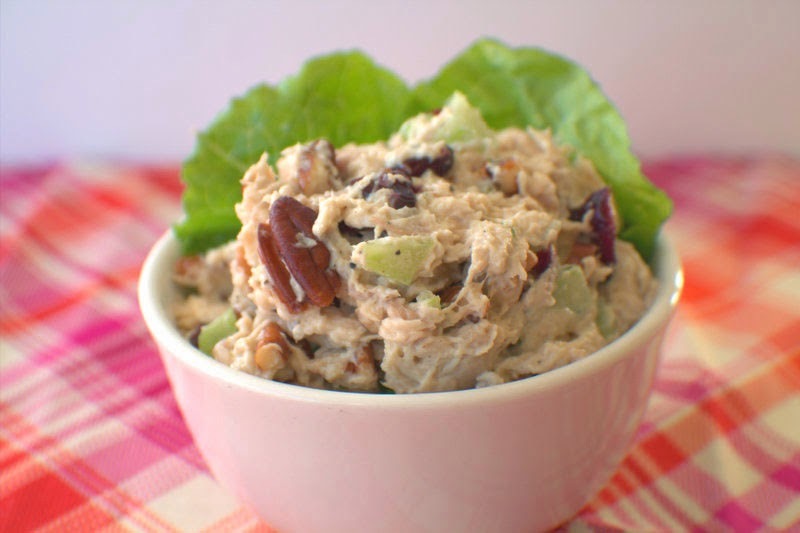 I have made this chicken salad recipe many times and it is always so good! I like the combination of yogurt and mayonnaise it makes it super moist without being totally drenched with mayo. I hope you enjoy this version chicken salad and who knows with this new tradition I am sure it will spark my creative side. I think next time I may try Buffalo chicken salad! Yum! In a large mixing bowl combine all the ingredients. Mix well. Taste for seasonings. Transfer to an airtight container and refrigerate for at least an hour before serving. Refrigerate any leftovers for up to 5 days.